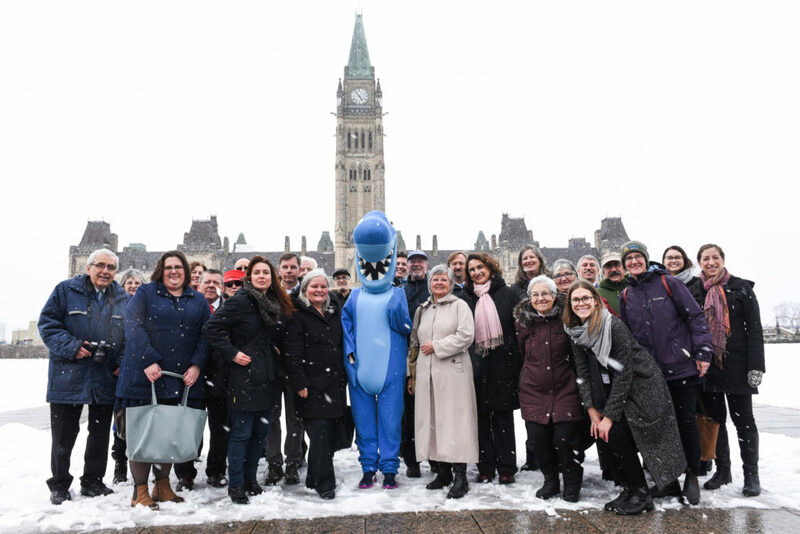 On Tuesday, April 9, delegates from across the Nature Network gathered in Ottawa for the first ever #NatureDay on Parliament Hill. Many of the Nature Day participants gathered in front of centre block. 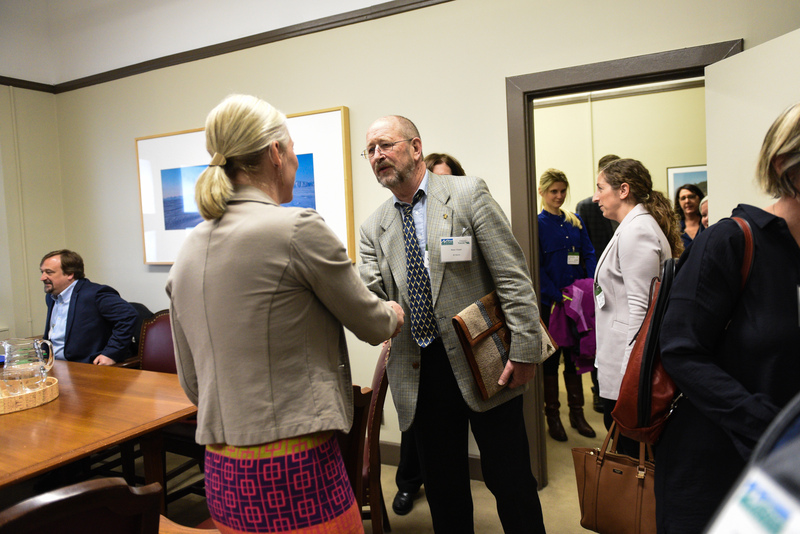 In every meeting we invited parliamentarians to join us in efforts to ensure Canada doubles protections for nature. This is what’s needed to meet the government’s commitment to protect 17% of land and inland waters, and 10% of marine and coastal areas by 2020 as part of the United Nations Aichi Biodiversity Targets. 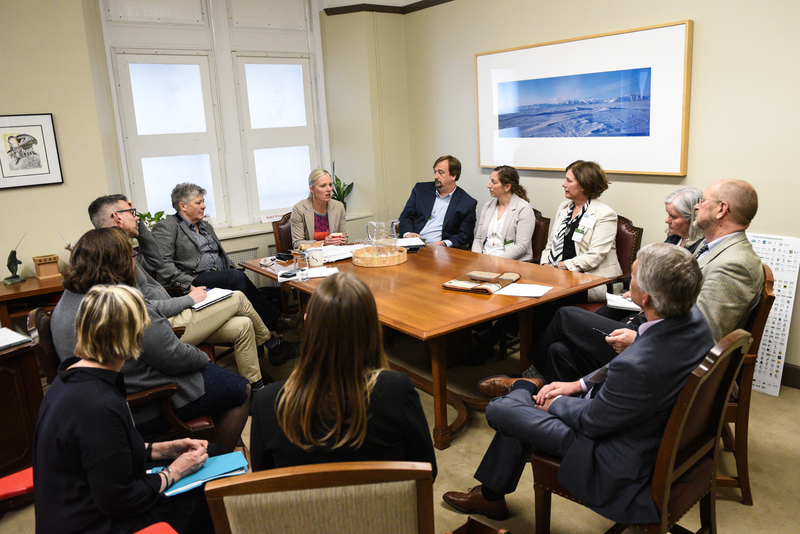 We also asked for support to ensure support for Indigenous rights and Indigenous-led conservation are central to Canada’s approach. Many MPs responded to our call; others may need a second visit. 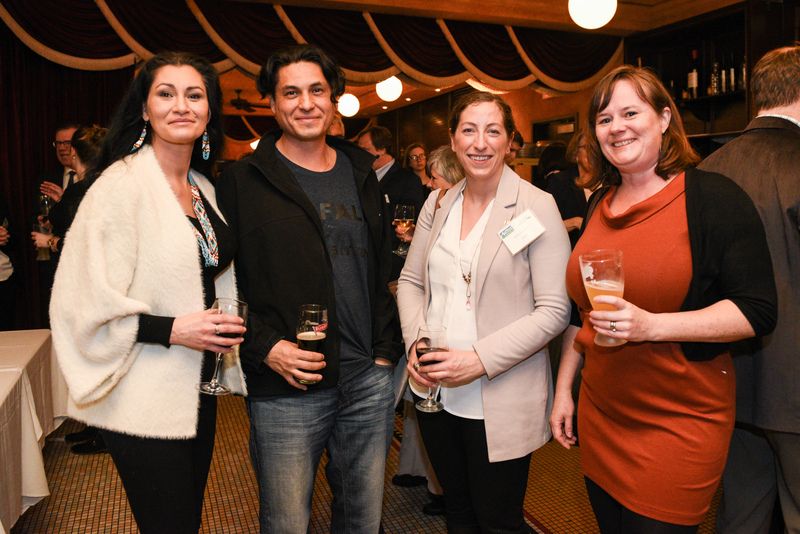 For many participants, Tuesday was their first time meeting with a federal politician. In overwhelming numbers they’ve already indicated they’d be back to do it again. This is so heartening to see. The sector is building its voice and power—through mutual support, through the certainty of the urgent need for action and the confidence and strength that comes from seeing our collective voice growing. 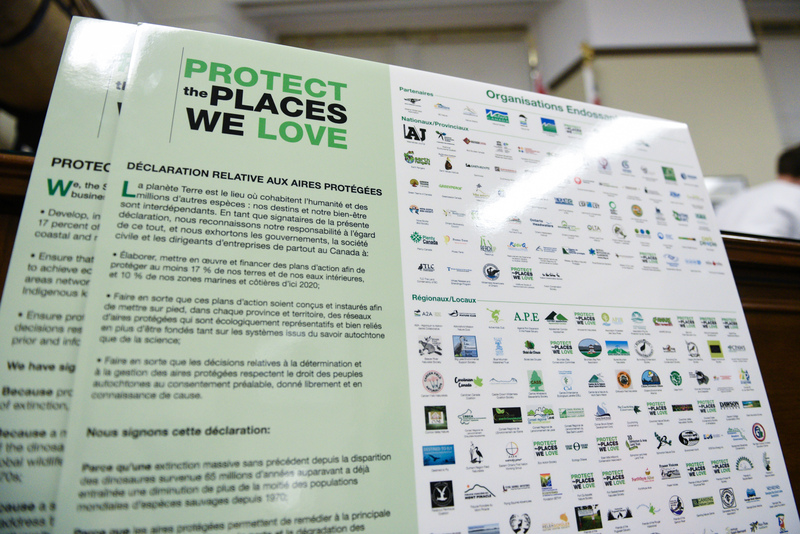 Through steady outreach over 350 organizations have now signed the Protected Places Declaration. 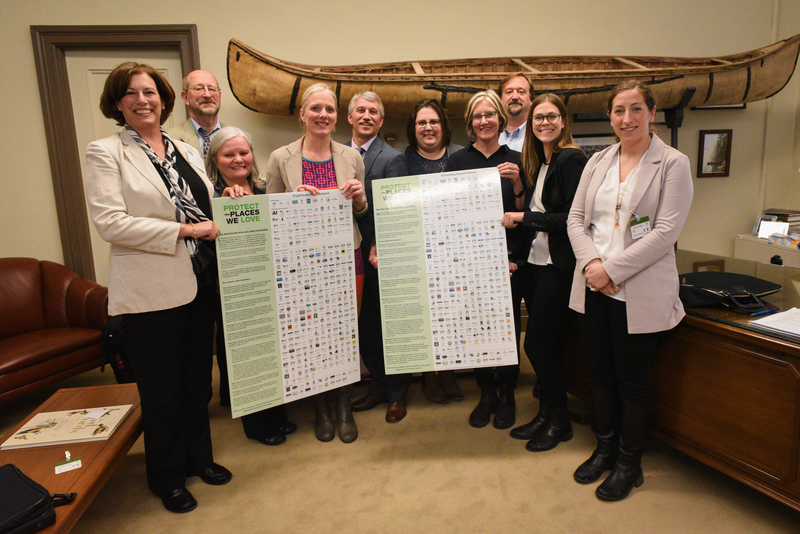 A giant billboard version of the declaration was presented to Minister of Environment and Climate Change Catherine McKenna to demonstrate the breadth of organizational and public support behind the Protected Areas agenda. Other highlights included meetings with the Minister for Fisheries and Oceans Jonathan Wilkinson. 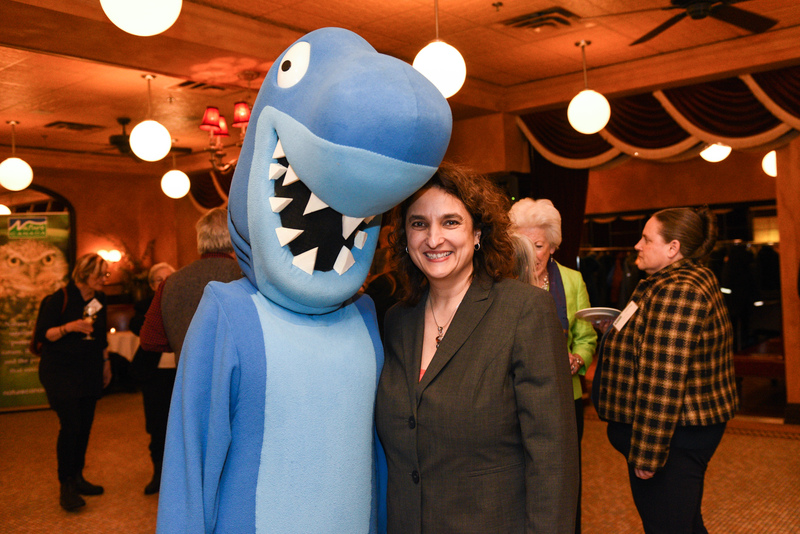 Here we presented petitions to ensure protection of the Laurentian Whale passage, with signatures of almost 8,000 Canadians, and a petition to ensure the Government follows the recommendations of the National Advisory Panel on Marine Protected Area and ensure there can be no oil gas or mining activities in marine protected areas. Protection should mean protection! 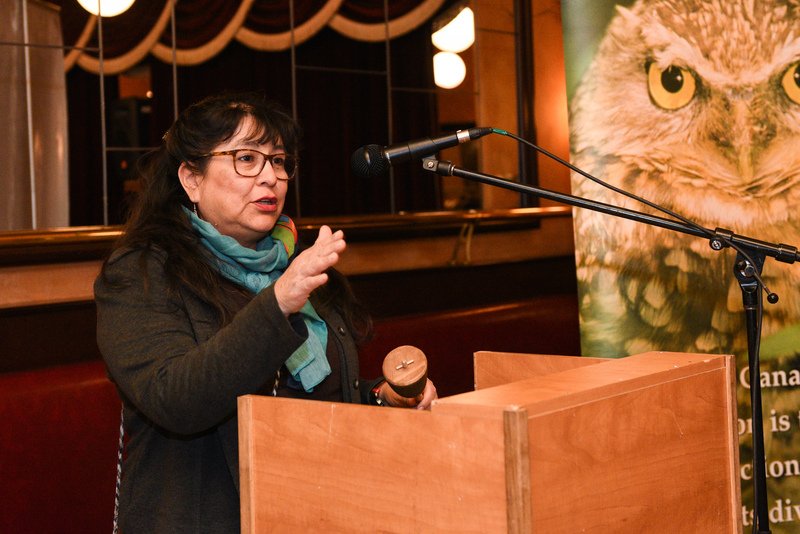 Thank you to Ontario Nature, and all the nature groups who joined us. 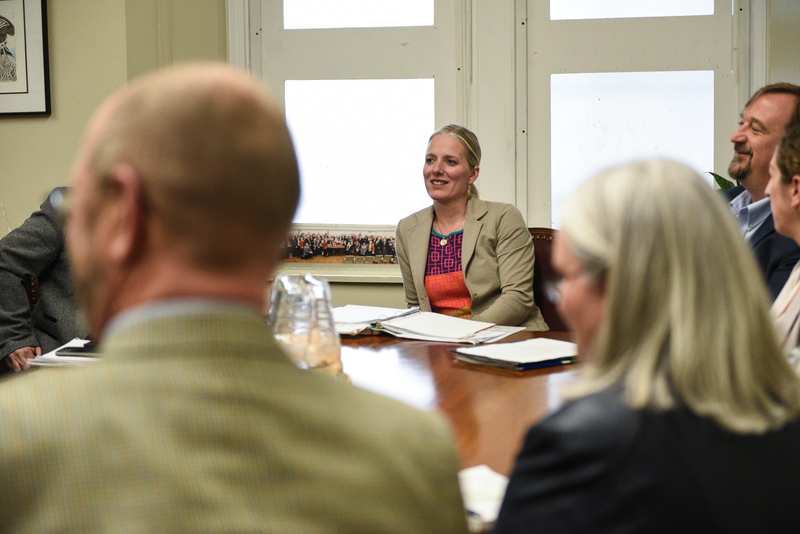 Moving forward, we hope it becomes but one of many ways we work together to expand protected areas in Canada. We’ll need to keep momentum going to ensure the 2020 targets are hit and then surpassed, since there is growing scientific consensus that nature needs half to ensure a healthy and secure future for all species, humanity included. 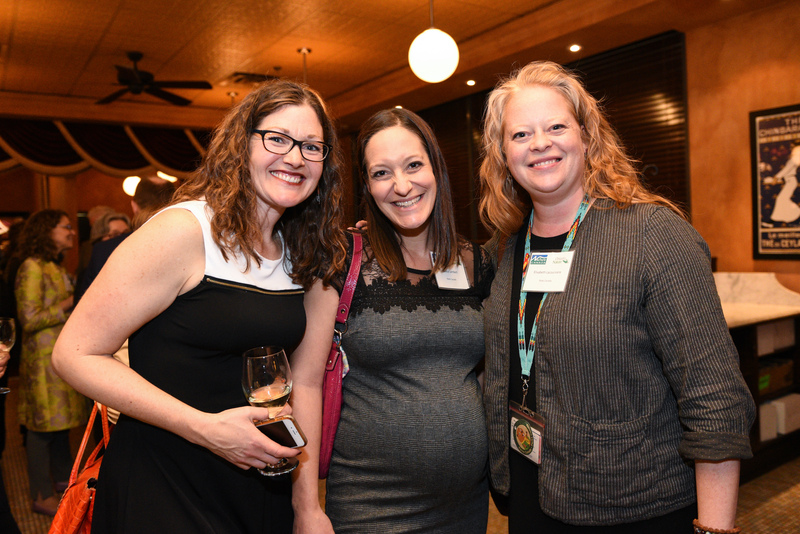 See more photos on our Facebook album!